Is there a better alternative to Banner Hunter? Is Banner Hunter really the best app in Plugins category? Will Banner Hunter work good on macOS 10.13.4? 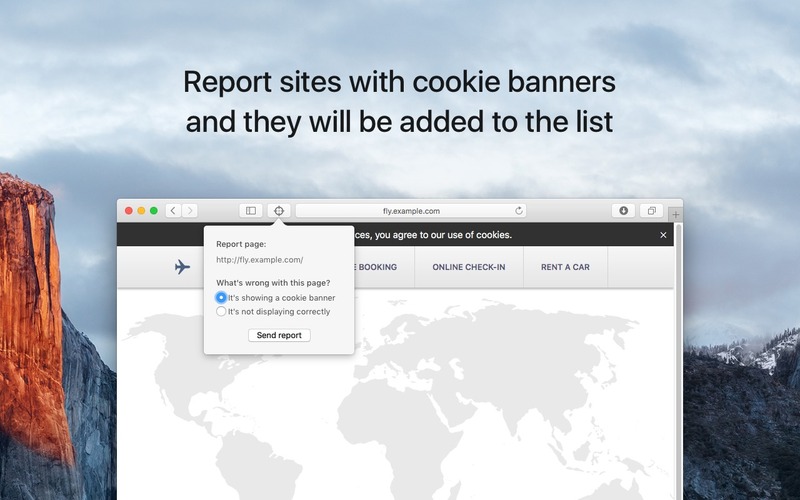 Banner Hunter is a Safari content-blocker extension which hides those banners about cookies and privacy policies that appear on many sites, especially European ones, due to the infamous "EU cookie directive". 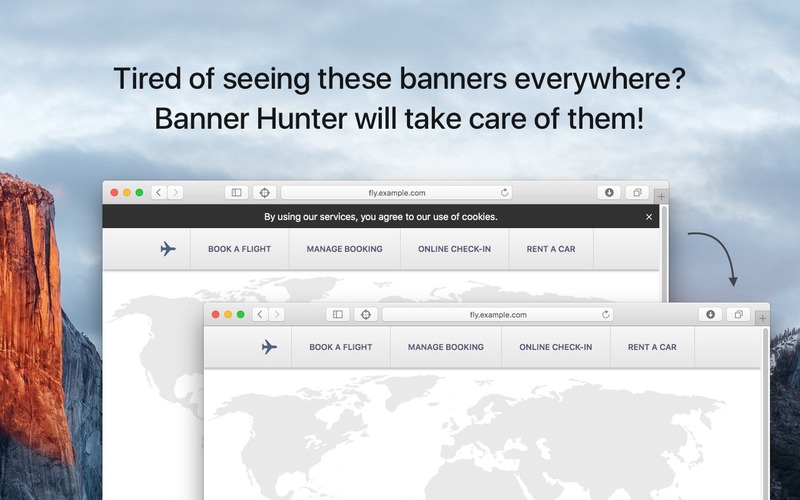 Banner Hunter needs a review. Be the first to review this app and get the discussion started! Banner Hunter needs a rating. Be the first to rate this app and get the discussion started!